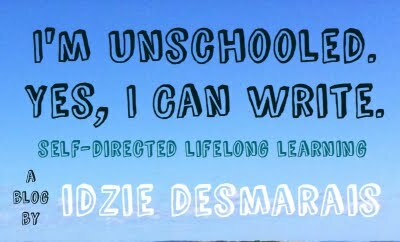 I am very socially conservative and very pro-unschooling, and I on-and-off read your blog. Does that count as "the right" to you? I have always considered myself politically "other," and have been registered nonpartisan (U.S.) ever since I could vote. I almost dropped out of high school when I read the Teenage Liberation Handbook my junior year. Instead, I deliberately tried to fail a few classes to prove that, as long as you showed up and "kept busy," it couldn't be done. I passed every class. I see the "political spectrum" model as an oversimplification of political realities, and therefore an inaccurate way to describe one's politics. For example, where would anarchism fit in? Left? Right? Center? As a big hammer breaking the spectrum into pieces? I noticed you conspicuously included it in your own poll, though. I didn't notice or take that poll when you had it up, though. I'm sure I would have checked the "something totally different" box.